Born in Paris, France in April 1978, from Senegalese parents, Rokhaya Diallo most famous as a French feminist and antiracist activist. She is also a journalist for radio and TV. First educated in the public schools of Paris, she moved at 11 with her parents (her father was a mechanic and her mother was a sewing instructor) to the Paris suburb of La Courneuve. She was an exceptional student and graduated in 2002 from Pantheon – Sorbonne university with a master degree in international law and a commerce school diploma. After graduation Diallo took a position with IBM in Paris. She soon quit her position, however, and returned to the university where she earned another master’s degree in TV and radio distribution and marketing. After graduation she soon found a job working for Canal + TV station and RTL radio. Today she works as an animator in French media. 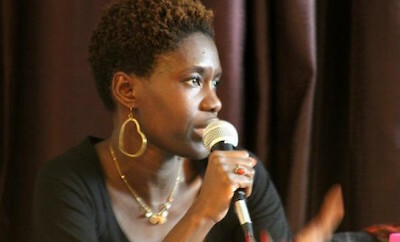 While at the university Diallo had become attracted to feminist ideals and causes and by the time of her second graduation she had joined various organizations including ATTAC, the anti-globalization association founded in France in 1998 to denounce the power of greed created by international organizations. ATTAC is present in 38 countries with the motto “another world is possible”. In 2006, Diallo founded her own organization, the Indivisibles, to help the people discriminated against by race and revenue. The organization’s expressed goal was to struggle against “a fragmentation of the French nationality along racial appearance and geographical origin.” The association worked with French schools and also with the media encouraging both institutions to develop strategies and programs that welcomed immigrants from Africa and the Middle East. Diallo denounced the Islamophobia of many conservative French politicians but she also criticized the Left for using secularism as a tool exclusively against the Islamic faith. With a few other French intellectuals, she imagined a post-racial and multicultural French Republic. Following the January 2015 attack on the French satirical magazine, Charlie Hebdo by Muslim terrorists, Diallo denounced the nearly universal support for the publication. She argued that the magazine is at least partly to blame because of its critiques of Muslim leaders and ideas. Since then her feminist and antiracist arguments have been more and more controversial. Nevertheless Slate Magazine 2013 has ranked her 36 among the top hundred influential French women. Rockhaya Diallo, Racisme: Mode d’Emploi (Paris: Larousse. 2011); Rockhaya Diallo, La France est une et muliculturelle, (Paris: Fayard, 2012); Rockhaya Diallo, Comment parler de racism aux enfants (Paris: Le Baron Perché, 2013); Rockhaya Diallo Moi, Raciste? Jamais! Scènes de racism ordinaire (Paris: Flammarion, 2015).